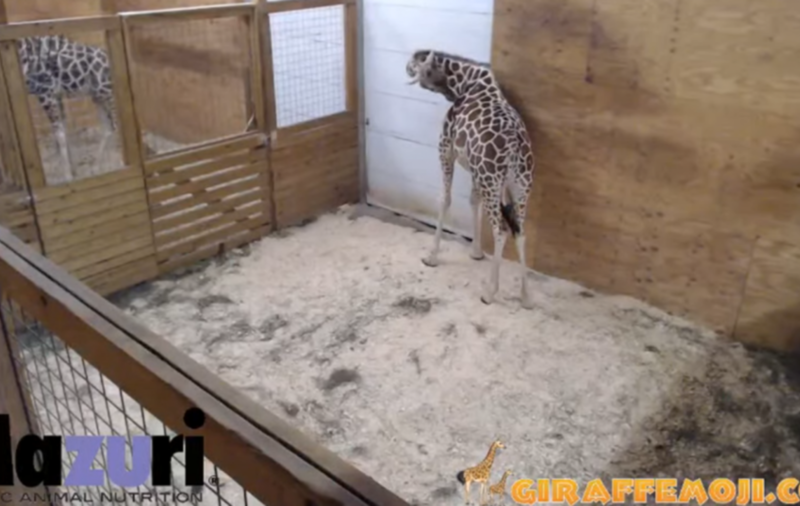 You know that feeling when you count down the days until the weekend but then you spend it watching a live stream of a pregnant giraffe in America? if you're not keeping up with the live feed of April the Giraffe about to give birth to her calf, we can't be friends. A silly amount of people keep tuning in to see whether April the giraffe has given birth to an inevitably cute calf yet at Adventure Park in New York. And they’ve got far too invested. Has #AprilTheGiraffe had her baby yet?! Also, why am I so obsessed with this darn giraffe?? But she’s a few days overdue now and people reckon she’s just teasing. Or is it all *fake news*?